2006-2010 Challenger Charger All LX Platform. These handle assemblies fit different applications, and we may be able to make modifications to them to make one fit your specific application. Please contact us to see if we have a model to fit your application. Most gear selectors for an Automatic transmission use a button as a locking device, while the Gunslinger uses a Stainless Steel trigger. In the following pages, you will find various reproduction shifter parts that are a direct fit for your Hurst Pistol Handle Shifter. After 30 or so years of use, NOS original parts are difficult to locate, while the used parts become pitted and worn. Our reproduction parts are a great alternative to the used parts out in the market. Their fit is like OEM parts. We at Gunslinger Products have developed a line of aftermarket Automatic Handles styled to fit Dodge and Plymouth cars. These use our reproduction parts and utilize the Pistol Grip Handle design. 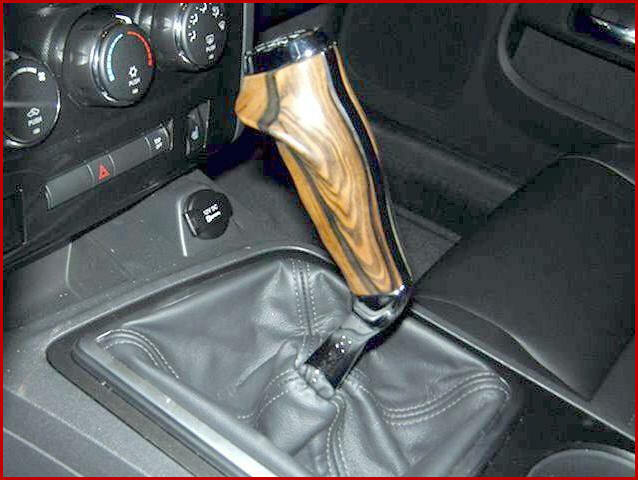 Most gear selectors for an Automatic transmission use a button as a locking device, while the Gunslinger uses a Stainless Steel trigger. The Gunslinger Handle is a bolt on application, and on the average takes 2 minutes or less to install. 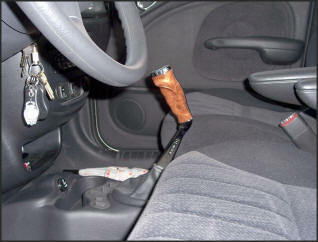 It is also designed to slide over your present shift lever without any modifications. Some custom installs may be a bit more involved and will take more time to install. See install instructions on each style. As you look further into our site, you will see that we are also making various reproduction parts. We try to make these as close to the original as possible. Some original parts have flaws that at times we make improvements to correct these problem areas. They are made in areas you will not see after the parts are installed. If you click on the description of the part, we will tell you of the improvements we have made and why. Please call 937-947-4416 or 937-698-4259 for any ordering questions. Copyright © 2015 by Brewer's Performance Inc.